This man loves his borough. So should you. How thorough(ly) do you love your London borough? 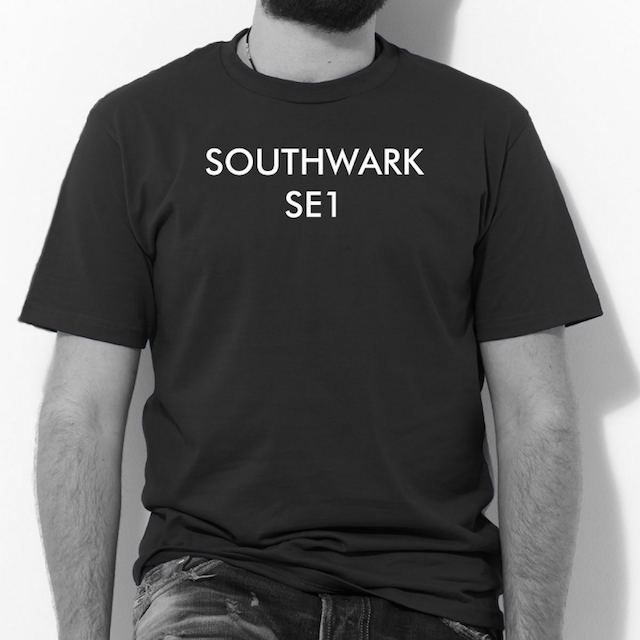 If Southwark is your hood, for instance, are you strutting about in one of these cool SE1 t-shirts? Well, maybe it's time you were. And if you're not a denizen of south east London, not to worry. We've got loads of other t-shirts in loads of other colours, featuring loads of other London boroughs and neighbourhoods, including Camden, Whitechapel, Finsbury Park and Neasden. By the way, it's not just t-shirts we have. Browse the full Londonist Collection now.